BROOKINGS, S.D. 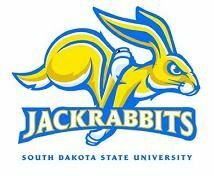 - The South Dakota State University football team has new offensive and defensive coordinators. Head coach John Stiegelmeier has promoted offensive line coach Jason Eck to offensive coordinator. He'll continue coaching the offensive line. Eck replaces Eric Eidsness, who recently accepted the offensive coordinator position at Northern Illinois. Jimmy Rogers and Brian Bergstrom will share the defensive coordinator duties during the 2019 season. They'll replace Clint Brown, who has accepted the defensive coordinator position at Abilene Christian. Rogers has coached the team's linebackers since 2013 and also assisted with special teams. Bergstrom most recently coached the safeties for the Jackrabbits. SDSU has made seven consecutive postseason appearances and advanced to the national semifinals in each of the past two years. The Jackrabbits finished third in the final Football Championship Subdivision polls.